Sometimes, if you want to take piano lessons, you may not always have the time or patience to go find a teacher and be able to pay money for each lesson that you may or may not understand. For this reason, you can look up video piano lessons online. Video piano lessons walk you through the basics of learning how to play the piano, read music and improvise by learning music theory. Video piano lessons can be found online or you can buy them as piano DVD's. Usually, there will be a sequence that you go through when learning how to play the piano via using piano lessons on video. One of the first things piano videos will teach you is the layout of the piano keyboard. The piano keyboard is composed of an arrangement of white and black keys, each representing a note or a space between a note. You’re taught where middle C is, because middle C is the first note many people look for on a piano. It’s the note that almost every scale, chord and melody is built upon. Middle C is located directly between the treble and bass clefs of the grand staff, and is a mid-range note that pretty much everyone has the vocal range to meet. Next, video piano lessons teach you about the basics of the grand staff – how all the notes come together to form the staff on which music is written. You’ll learn how to read the staff and how to read the various musical symbols that are written on it. Symbols are obviously the musical notes, rests, dynamic markings, time signature and key signature, as well as phrasing. The basics of transposition and intervals are taught through video piano lessons via an interactive staff. Sometimes you can play fun games to learn the musical terms. Video piano lessons introduce you to the fundamentals of playing the piano, by showing you an overhead view of the keys and the notes they represent. You also get an idea about chord structure. All songs are built on scales and chords, so to play piano, you have to know how scales and chords are constructed and how to understand what they mind, as well as what musical effect they give. For example, major chords give a happy, lighthearted feel whereas minor chords give a very downcast and sad feel. Minor chords often feature heavily in Russian and Japanese music. 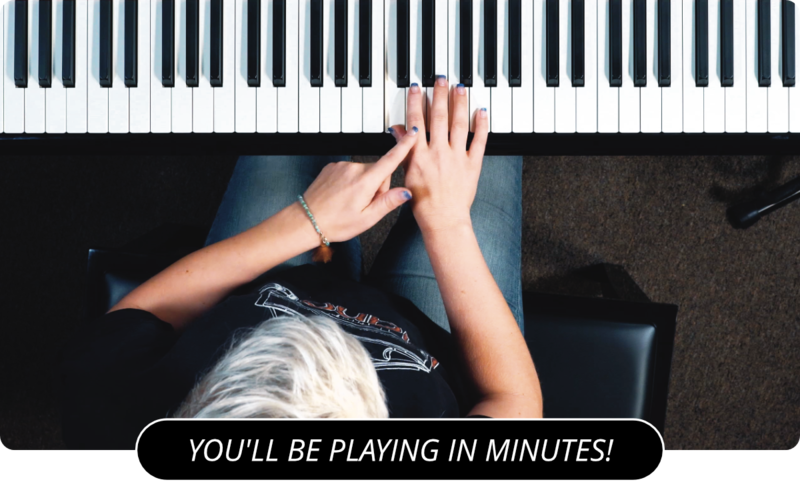 Video piano lessons are a great way to learn how to play piano on your on time. You can repeat your lessons by watching the video as many times as you feel necessary, and therefore you can understand the finer points of music theory. Other piano music videos can teach you special techniques that apply to different styles of music. Blues piano , for example, often uses the pentatonic, or five-note, scale. Jazz piano often uses swing rhythms for its eight notes, and places accent son the second and fourth counts of a measure whereas classical music places accent on first and third. Learn more about video piano lessons by visiting the main page of PianoLessons.com , or by going through some of the other piano lesson articles that are posted on this web site.